On May 20, 2015, the United States Drug Enforcement Administration (DEA) and Federal prosecutors conducted enforcement actions across the states of Arkansas, Alabama, Louisiana, and Mississippi in an effort to reverse the horrible effects produced by the trafficking and abuse of pharmaceutical drugs. As part of this effort, dubbed Operation Pilluted, 22 doctors and pharmacists were arrested in the 15-month operation which involved nearly a thousand law enforcement officers across the four states. 280 arrests took place total across the four states as part of the operation. Deputies from the Saline County Sheriff’s Office (SCSO) and detectives from the Benton Police Department assisted in Operation Pilluted. This Federal investigation utilized intelligence data, information provided by state and local law enforcement, and complaints made by citizens, to identify DEA Registrants and others involved in prescribing, obtaining, and distributing dangerous and addictive controlled substances such as Oxycodone, Hydrocodone, and Xanax. In 2013, approximately 43,982 unintentional drug overdose deaths occurred in the United States, one death every 13 minutes. Nearly 52 percent of those deaths (22,767) were attributed to prescription drugs. Of these, 71 percent (16,235) were attributed to opioid overdoses. On May 20, 2015, Saline County Sheriff Rodney Wright and Benton Police Department Chief Kirk Lane attended a press conference at the United States Attorney’s Office. The United States Attorney for the Eastern District of Arkansas and the DEA Special Agent in Charge for the New Orleans Field Division commended the efforts of local police in this investigation. Since taking office, Sheriff Rodney Wright has committed to making drugs a primary focus for the SCSO. 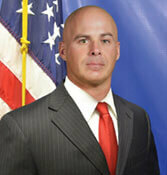 For the first time in the history of the SCSO, a deputy has been assigned to the DEA Little Rock Office. Additionally, two deputies are working in a Special Investigation Unit with the Benton Police Department. In the near future, specialized training for patrol deputies will be implemented. This multi-jurisdictional investigation involved the DEA, Federal Bureau of Investigation (FBI), Department of Homeland Security (DHS), U.S. Marshals Service, Food and Drug Administration (FDA), Bureau of Alcohol, Tobacco, Firearms and Explosives (ATF), and Internal Revenue Service (IRS). Sheriff Wright was very pleased that the Saline County Sheriff’s Office played a role in this noteworthy investigation.